Why customer experience? Why now? Because we have entered an age when focusing on customers is more important than any other strategic imperative. Every executive knows that customers matter. But most companies don’t approach their customer interactions in a disciplined way. Forrester describes Customer Experience as “how customers perceive interactions with your company”. 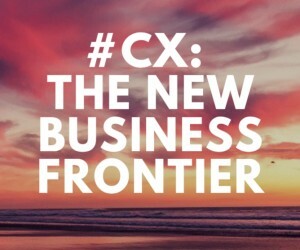 Executives don’t get to decide how customer-centric their business needs to be. Customers do. Many organisations strive to “delight” their customers. However, the problem is that does not translate into customer loyalty. The truth? Delighted customers are not inherently loyal. As it turns out, customer loyalty comes down to providing an effortless customer experience. In other words, when an organisation is trying to drive customer loyalty, the customer experience should be the biggest focus. So what is the customer experience and by default, customer loyalty worth? Building an unambiguous link between the customer experience and value requires patience and discipline to invest early in an analytic approach. It is easy to skip this step for the sake of speed, but that is a costly mistake every time. When establishing a link to value is done well, it provides a clear view of what matters to customers, where to focus and how to keep the customer experience high on the list of strategic priorities. In essence, getting the logic and math right for a successful program requires a structured approach and real science to achieve three objectives: building an explicit link to value, directing investments to where they will do the most good and designing a detailed roadmap populated with early successes to self-fund the transformation. To construct this link, we start by defining the customer behaviour that creates value for your business and then follow customer satisfaction over time to quantify the economic outcomes of different experiences. Develop and maintain complete customer profiles – the more insights and understanding you have of your current customers, the more relevant offers can be sent to them and the more effective you will be at retaining them.